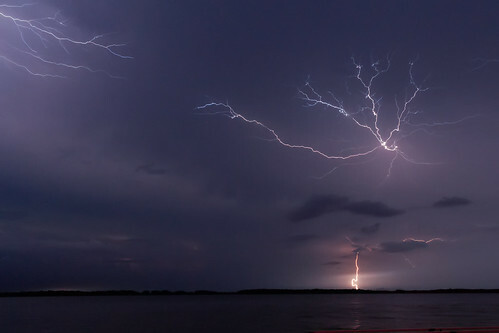 As per Guinness World Records the area where the Catatumbo River flows into Lake Maracaibo, Venezuela, "receives almost 250 lightning flashes per square kilometre each year. Lightning happens up to 300 nights per year in displays that can last nine hours." This has also been confirmed by the latest findings of NASA who have billed the location as the "Lightning Capital Of The World". The findings are based on very high resolution data collected over 16 years of observations made from space. 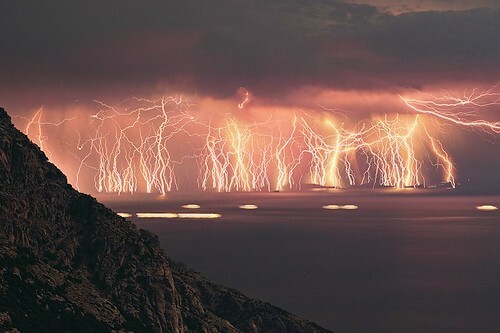 This phenomenon known as the Catatumbo Lightning (Spanish: Relámpago del Catatumbo) occurs mainly during April to November and usually develops between the latitude of 8°30′N 71°0′W and 9°45′N 73°0′W. 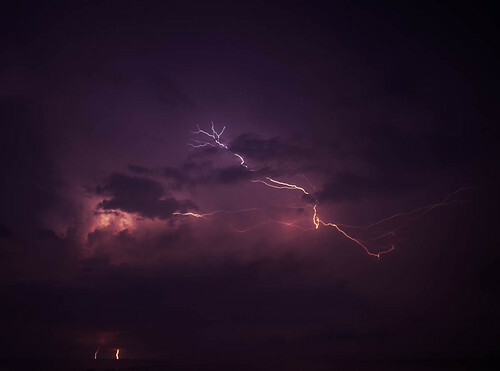 As per meteorologists the lightning storms are due to high winds blowing across the Maracaibo Lake and meeting the cold air of the horse shoe formed by the high mountain ridges of the Andes, the Perijá Mountains (3,750 m), and Mérida's Cordillera. The heat and moisture collected across the plains creates deep convection which produces electrical charges resulting in continual thunderstorm activity. 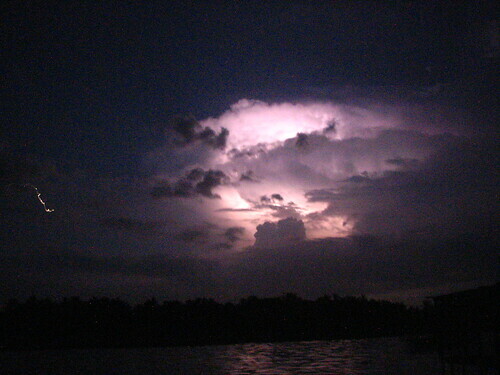 Such phenomenon is not limited only to Catatumbo. 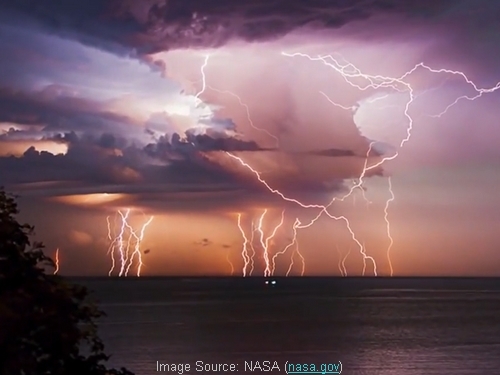 The village of Kifuka DR Congo in Central Africa is also witness to such lightning storms and was earlier known as the "Lightning Capital Of The World" till it was dethroned by NASA studies whereby Catatumbo got the title. 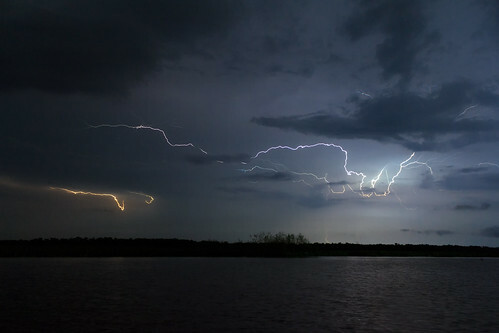 Cheerapunji in Eastern India also witnesses large amount of lightning per year.